The Constitution of the United States protects the freedom of the press. The Founding Fathers considered a free press essential to the protection of our Representative Republic – it’s freedom, values, prosperity, etc. They expected a fair and balanced media to analyze, investigate and report on all sides of important issues. They expected the media to educate the public – so they could be informed voters and advocates. Obviously, they could never have imagined the extensive media we have today – much less its Leftist/Socialist leanings. Only Fox News is providing fair and balanced news coverage and commentary. The other broadcast and cable networks lean significantly to the left of center – so much so that they consider Fox a right-wing network. That’s not fair – in fact it’s dishonest. If one examines the news reported – the news omitted – and the spin of their reporters and commentators, the bias of the various networks becomes abundantly clear. Only Fox News makes a gallant effort to report both sides of issues and events. Even most of its commentators attempt to expose both sides. Frankly, those perpetually tuned to National Public Radio, MSNBC, NBC, ABC, CBS and CNN are not getting the straight scoop on both sides of the public debate. If you’re a leftist and want reinforcement rather than facts, these organizations will confirm your perspective – as distorted as it may be. 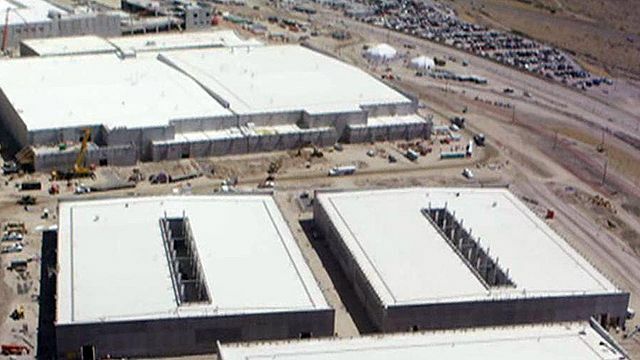 The NSA says the Utah Data Center is a facility for the intelligence community that will have a major focus on cyber security. The agency will neither confirm nor deny specifics. Some published reports suggest it could hold 5 zettabytes of data. (Just one zettabyte is the equivalent of about 62 billion stacked iPhones 5’s– that stretches past the moon. “When President Obama’s own Supreme Court nominees join their colleagues in unanimously rejecting the Administration’s call for broader federal power six times in just over one year, the inescapable conclusion is that the Obama Administration’s view of federal power knows virtually no bounds,” the senator’s report said. “If the Department of Justice had won these cases, the federal government would be able to electronically track all of our movements, fine us without a fair hearing, dictate who churches choose as ministers, displace state laws based on the President’s whims, bring debilitating lawsuits against individuals based on events that occurred years ago, and destroy a person’s private property without just compensation,” he said. “Luckily, we do not have to live in that America,” Cruz added. In another case, United States v. Jones, the DOJ argued that the federal government could attach a GPS system to a car without cause, despite the Fourth Amendment’s restrictions on unreasonable searches and seizures. The DOJ said it did not constitute a search because a “GPS system is already in public view and a person should not expect it to be private.” The court again unanimously rejected its claim. “The Obama Administration, through its Department of Justice, has repeatedly advocated a radical theory of sweeping federal power,” the report says. Obama’s Got Another Psycho-Lying-Leftist Pastor! As the first family trekked across Lafayette Square to the church, Mr. Obama offered a “Happy Easter, everybody” to the press and onlookers assembled. The sermon at the service, delivered by Dr. Luis Leon, an Episcopal pastor who delivered the benediction at Mr. Obama’s second inauguration, took a turn for the political when the pastor decried those who wax nostalgic about the way things once were. “I hear all the time the expression ‘the good old days’,” Leon said. “Well, the good old days, we forget they have been good for some, but they weren’t good for everybody.